Hearing Aids We Can Adjust Via The Web. With the use of a simple app on your smartphone, it is now possible for your Audiologist to provide hearing support & monitoring of your hearing aids remotely via the internet. ​This means you can get the timely support you need from the comfort of you own home without a physical face to face appointment. Imagine how much time you would save? If this impresses you and you would like to know more, get in touch today. What Different Styles of Hearing Aids Are There? Hearing Aids come in a variety of styles these days. ​Some even fit completely inside your ear canal. BTEs fit most ear shapes and degrees of hearing loss. 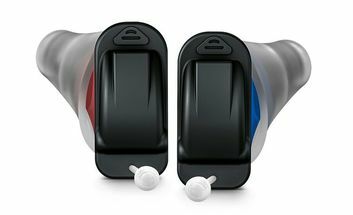 They are usually connected to a mould that sits in your ear with the processor positioned on top but can be fitted with a slim tube and dome. It is a robust solution for patients with dexterity problems and need something larger to manipulate. They can come with rechargeable options, wireless accessories and more advanced features. ITEs are the largest of the family of hearing aids called custom devices. They are made specifically for each individual ear. Some patients prefer this option as the device is worn entirely in the ear. ITEs fill the concha bowl so are easier to remove, insert & adjust. They are well suited for patients with dexterity issues and who want longer lasting batteries. ITEs are large enough to contain advanced features including wireless accessories. RICs were designed to be a more discrete option for patients. For this reason RICS are a very popular style that can be fitted to many ear shapes and degrees of hearing losses. Instead of having to replace the entire hearing aid, if your hearing deteriorates, all you need to do is change the speaker strength. They also come with rechargeable options, wireless accessories and more advanced features. ITCs are smaller than ITEs but are usually still large enough to contain advanced features such as directional microphones and wireless options. They are still relatively easy to manage. CICs are smaller than ITCs and fit directly within the ear canal of the ear. They are virtually invisible to the naked eye. Although wireless options are still available for this style, performance in noise is compromised due to its size. If dexterity is an issue, CICs are not for you. IICs are pretty much CICs but are worn much closer to the ear drum deeper in the ear canal. Again, you will want to have good dexterity if you want to own these devices. Some patients who like the look of custom devices such as the CIC don't have the time to wait for them to be custom made for their ears. Therefore, ready to wear CICs are available and although are not custom made, perform very similarly to traditional CICs. 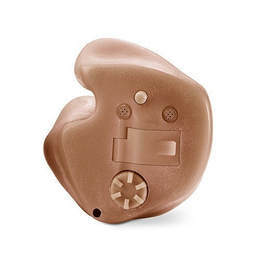 The slim RIC is the newest style to hit the hearing aid market. It has all the benefits or traditional RICs but has a slimmer part that goes above the ear improving their cosmetics further. At this stage limited wireless functionality and restrictions on fittable ear shapes apply. Choosing the right hearing aid requires an investment in time and the help from a qualified Audiologist. Choose from a FREE hearing screening or a more comprehensive hearing assessment today. With a quick FREE 15 minute screening, you will learn the degree of your hearing loss and whether hearing aids are something to consider. 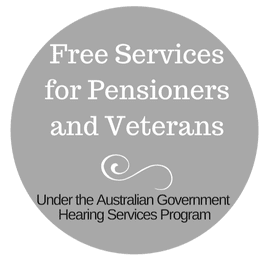 You are also free to ask and question regarding your hearing, funding options and your next step to take. At this appointment, several tests will be performed to get an idea of your physical hearing abilities in different situations. It takes 60 minutes and by the end, you will have a much better understanding of your hearing and what options are available. As an Independent Audiology Clinic, Pristine Hearing is not aligned with any one hearing aid manufacturer. This means we are free to offer you the best solution possible taking into consideration what is on offer from a range of companies. Not all manufacturers provide the best solution for every patient or situation. 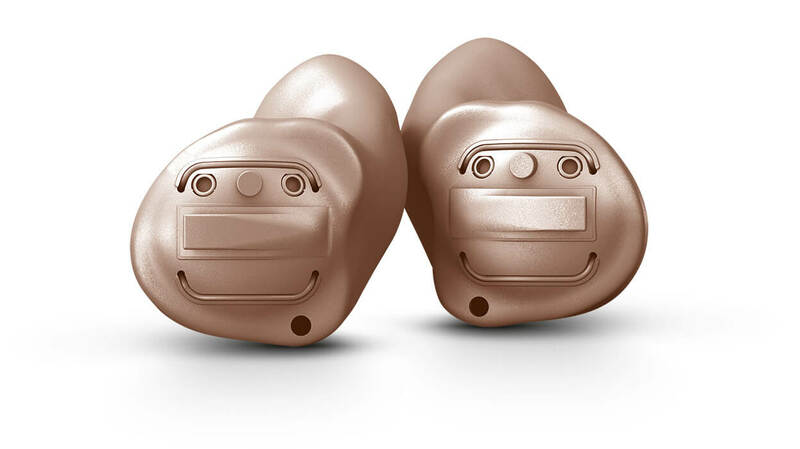 Having the flexibility to select the best option for each patient and their unique set of needs is why Pristine Hearing delivers great outcomes for our patients. ​feel free to get in touch with us on 1300 774 284 or email. Pristine Hearing always sets its hearing aid prices fairly so that margins are kept low as it is the clinical expertise we would rather get paid for. Expect to see the cost of our devices at near wholesale levels. All hearing aid purchases come with a lengthy 60 day money back guarantee. Most Audiology clinics only offer a 30 day grace period. We really just want you to be happy and satisfied with what you have invested in. All hearing aids come with a 3 Year Manufacturer's Warranty. Pristine Hearing offers interest free payment options for all devices and services. We are always looking at ways to make access to appropriate hearing health care more affordable. We offers FREE microsuction earwax removal appointments for ALL patients who have purchased or have their hearing aids maintained by us. 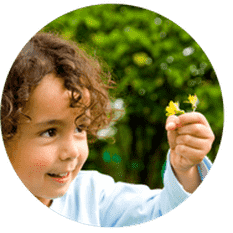 Pristine Hearing is passionate about treating ALL our patients with the utmost respect and dignity they deserve irrespective of their background or how much money they spend with us. Often our Audiologists (or a staff member) will stay behind for a late appointment, visit patients at their home or call for a taxi when a patient needs a lift. When you become a patient of Pristine Hearing, you become part of the family. So which hearing aid is right for me? 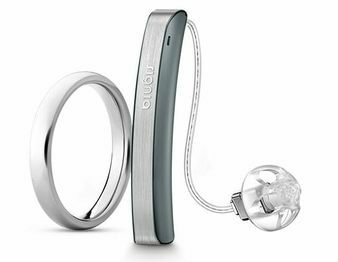 Hearing aids like any digital device continue to improve and undergo exciting changes. They are becoming so intelligent that they can learn user preferences, automatically turn on and off settings based on your acoustic environment and provide superior performance in more demanding listening environments. They can even turn into smart headphones as they seemlessly connect wirelessly to the different (smart) devices we rely on everyday (e.g. TV, computer, stereo). Sufficed to say, if you are looking for a hearing aid in 2019, you're in luck. When considering which hearing aid is right for you, your Audiologist needs to look at many factors to consider the best option for your needs. Hearing aids come in many different styles. Some are more appropriate than others depending on your physical dexterity and degree of hearing loss. Hearing aids also come in different levels of technology (usually basic, economy, mid-range, high-range and premium). With all this to consider, only an Clinical Audiologist is skilled to help guide you through this maze. Choosing the right hearing aid is an art-form and requires clinical expertise from your Audiologist to carefully evaluate clinical information about your hearing abilities, communication goals, hearing history, physical limitations, family support and your personal preferences to provide the best solution possible. What can I expect during a hearing aid discussion? You will be listened to and not rushed. 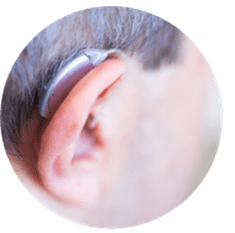 You will be given honest, unbiased, up to date, clear and easy to understand information about the various hearing aid features relevant to your needs and at which level of technology they are found. You will only be recommended options based on the clinical information obtained in the appointment. You will be able to trial hearing aids of various technology levels within the appointment and/or in some circumstances at home. You will be given realistic expectations about what hearing aids are likely to do for you. You will be guided through the selection and fitting of the most appropriate hearing aids in a collaborative manner. With interest free options available, get in touch today? I have a new Hearing Aid. Now what? 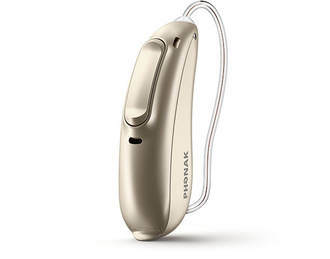 A hearing aid by itself is just a machine. To get the most out of them, you need individualised support from your Audiologist. 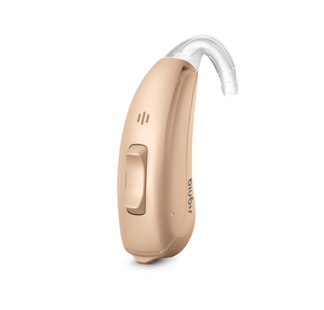 An appointment is required to set up your new hearing aids using physical measurements and research based methods to optimise speech intelligibility and sound quality. Your Audiologist will take the time necessary to ensure you are comfortable with both the sound, volume and physical feeling of the hearing aid in your ear/s. You will also be shown how to manage your new device/s. Most patients who are concerned that they will not be able to manage hearing aids are shocked by how easy they really are. Even so, our staff and Audiologists are only one call away and can even drop in to you if you have any problems. At Pristine Hearing, we are extremely committed to ensuring you get the best return for your investment possible. We do this by monitoring that the devices and other rehabilitation treatments provided to you are actually helping you achieve your communication goals. That's why every aural rehabilitation program includes a thorough aftercare/follow-up service. Depending on the complexity of your needs, this may be as simple as a one off appointment to make sure you are completely satisfied with your new hearing aid/s or you may require a cluster of appointments to get you to your desired level of satisfaction. You will only ever pay for what you need. It's all about the hearing aid right? A Hearing Aid by itself will only take you so far. Any thorough aural rehabilitation program involves more than just a device fitting. 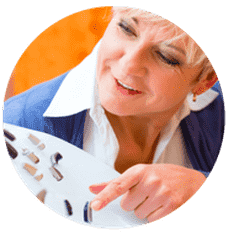 To get the most out of your new hearing aids, a thorough aural rehabilitation program requires that a patient regularly and consistently uses their new device. Our brains undergo changes when we haven't been hearing well and to reverse these changes, we need to bombard the brain with regular sounds at normal everyday levels. We also know that in some situations, a hearing aid alone may not be enough to completely improve one's communication ability. A patient may need to use communication tactics, undergo communication training, use a streaming device or special remote microphone system together with their hearing aid/s to get a better outcome. If you would like to get the most out of your residual hearing, then we recommend booking a thorough hearing assessment appointment today. Only with an up-to-date hearing test can your hearing aids be setup optimally and an individualised rehabilitation program created. Pristine Hearing offers QUICK and FREE quotes. Please fill out the form below so we can provide an accurate quote. ​Can't wait? Give us a call for a quote over the phone on (08)6336 7170. Also note that we offer a 5% discount on a competitors advertised or quoted price for the same device and similar service - restrictions apply. We will also often provide further discounts for patients wanting to trade in their hearing aids for a good cause - Hearing Aid Bank. Have your hearing aids stopped working? ​from time to time need a clean or repair. We offer a Clean & Check service at our Nollamara Clinic to get your hearing aid working well again. You are welcome to come in at anytime to have this service provided. 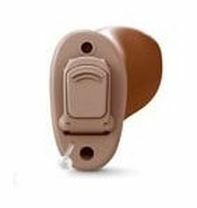 If after checking your hearing aid it is apparent that it requires a thorough repair, it will need to be sent away to the manufacturer. If they are more than 5 years old, a new hearing aid may be a better option. We also offer a Mould Retubing service and can even Grind your mould to optimise comfort. If you a new Ear Impression we can do this for you too so that a new mould can be ordered. We recommend this is done at least every 2 years. 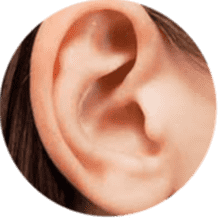 We offer a FAST turn around for all these services and they are FREE for patients that have acquired or are having their hearing aids maintained through Pristine Hearing. For more information about how we can help get your hearing aids working at their optimum or if you would like new impressions taken, please call 1300 774 284. Not sure why certain hearing aids have been recommended? ​Get a 2nd opinion from one of our Audiologists for peace of mind. 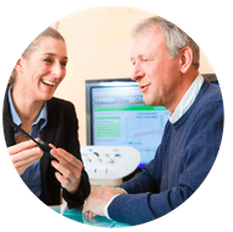 Given Pristine Hearing is a independent Audiology Clinic, you can be confident that our hearing aid recommendations are unbiased and have sound clinical reasoning to support them. Our Audiologists do no receive incentives like commission for the sale of hearing aids and as Accredited Audiologists of Audiology Australia, must follow the code of conduct as documented here. A 2nd opinion could save you 1000s of $$$. If you would like a 2nd opinion or are not achieving the results you want, feel free to see our dedicated and highly skilled Audiologists today.